Lifelong behavioral traits start in puppyhood. Socialization amongst humans is essential and good breeders work hard to ensure puppies are welcoming to strangers. Indeed the breeding pair is chosen not only for their looks and physical appearance, but also their temperament. 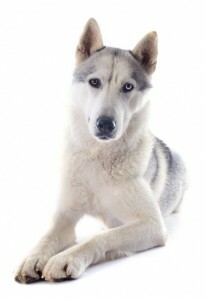 Huskies are generally loving and playful, easy going and forgiving. With effective socialization and supervision they get along just fine with children. However they make terrible guard dogs. Around strangers they are most likely to dish out kisses and engage in play, rather than defend and bark. Huskies don’t bark much anyway. You are likely to hear high pitched squeels and howling instead. Their high-energy nature makes Huskies ideal for active families. They would be great jogging companions. Lap dog? Possibly, but don’t get your hopes up. After a Husky is done with exercise and play they might just wander off to a quiet corner and lie down. You will need to get used to their independent nature. This means you are going to need to play with and exercise your Husky from puppy stage all through its life. An hour or more every single day is not uncommon. You can read more about the exercise requirements of a Husky here. Their energetic nature also means they want to go off exploring. Remember these are sled dogs bred to pull loads over long distances. Endurance is a hallmark quality, but also a double edged sword. You will need to keep your Husky restrained with a leash or harness when out in the open for fear he or she will take off without warning. Unless the dog has been socialized from an early age amonst other animals, it probably won’t get along so well with smaller dogs, cats, birds, rabbits, etc. Such animals could be seen as prey. However with gradual, monitored, and restrained socialization a Husky can happily share a home with smaller pets. 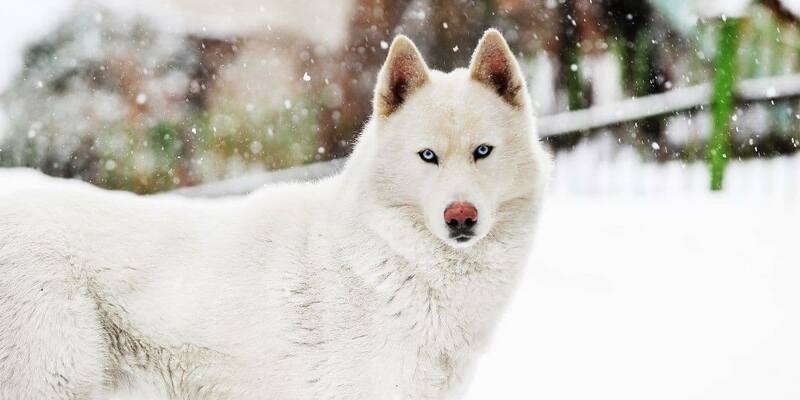 Despite the wolf-like appearance, Siberian Huskies are gentle and loving pets. With lots of energy to burn they need plenty of exercise and stimulation to avoid destructive behavior. However with proper socialization and effective training they can be a loyal family pet that gets along with strangers, both human and animal. Need some help with that training? Check out Cesar’s Way expert training courses. It’s online, affordable, and packed full of tips and tricks to help you bond better with your dog.